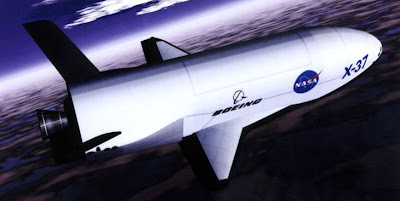 Boeing and the USAF are preparing for the first test flight of an unmanned military space plane. The X-37B should lift off atop an Atlas V in November from Cape Canaveral and hopefully land in one piece a little later in a runway landing at Edwards AFB in California. The flight will test the operational concept of this type of reusable multi-mission space vehicle which has been in development for a long time though the X-37B is just a test plane and an operational type could be quite different.